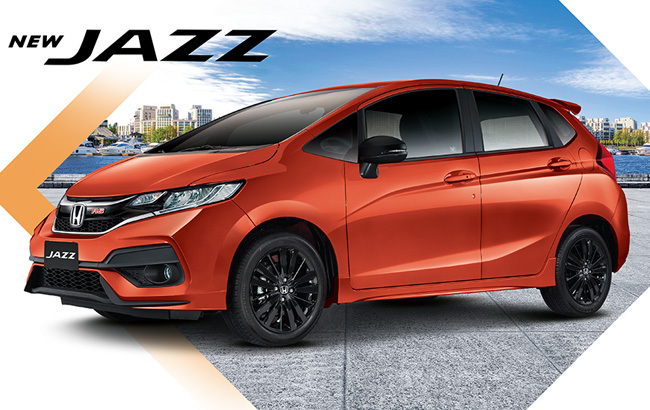 Honda Cars Philippines, Inc. (HCPI), Honda’s automobile unit in the Philippines, is pleased to introduce the New Jazz. Enhanced with additional features and sporty updates, the New Jazz aims to give customers the traditional fun driving experience as well as utmost utility and convenience expected from a Honda. Further, the New Jazz will now have a 1.5 RS Navi variant that will gratify customers looking for a more sporty hatchback. The New Jazz gets a refreshed look that boasts a modern and sporty appeal with its newly-designed Front Grille, Front and Rear Bumper, new LED DRL, and new alloy wheel designs on the 1.5 V CVT and 1.5 VX Navi CVT variants. All of whichgive the New Jazz a more distinctive road presence wherever you may go. For added convenience, the New Jazz is also now equipped with Power Folding Side Mirrors. The sporty exterior of the New Jazz is complemented by a spacious and flexible cabin fit for every lifestyle, with ULTR (Utility, Long, Tall, Refresh) seats which allow four different adjustment modes for more flexible rear storage. To further enhance passengers’ convenience, a new 7-inch Touch Screen Audio System now comes standard in the 1.5 V CVT, 1.5 VX Navi CVT and 1.5 RS Navi CVT variants with USB input and Bluetooth Hands-free Connectivity for audio streaming and phone functionality. Additional features such as a Navigation System, Multi-View Reverse Camera with Guidelines, Voice Command, Miracast and Cube User Interface (UI) and HDMI Connectivity will be available for the 1.5 VX Navi CVT and 1.5 RS Navi CVT variants. The 1.5 RS Navi variant also comes with Two Front Tweeters for an improved audio experience. Other features such as, Speed Sensing Auto Door Lock. The New Jazz is powered by a 1.5Liter SOHC i-VTEC engine that produces a maximum power of 120 ps at 6,600 rpm and 14.8 kg-m of torque at 4,800 rpm. The engine is mated to either a 5-speed Manual Transmission (1.5 V MT) or Continuously Variable Transmission (CVT) developed based on Honda’s Earth Dreams Technology. Both of which provide responsive performance, acceleration and improved fuel efficiency. All CVT variants also feature Honda’s Eco Assist Systemwhich consists of the ECON button and eco-coaching ambient meter to promote smart and fuel efficient driving habit. For this generation’s model, the already sporty Jazz will have further enhanced version. The New Jazz RS Navi variant comes with an exclusive sporty exterior design, which features new LED headlights with Daytime Running Lights (DRL), RS-design Tailgate Spoiler, RS-design Front Bumper with Fog Lights, RS-design Rear Bumper, new Front Grille with RS emblem, Side Sill Garnish, 16-inch Gloss Black Aluminium Alloy Wheels and Gloss Black Side Mirrors that give it a more dynamic and aggressive exterior look. The interior of the New Jazz 1.5 RS Navi variant features a new Seat Fabric Design, 3-Spoke Leather Wrapped Steering Wheel and Shift Knob - all of which are finished in Orange Stitching, giving it a sportier feel. To complement the overall sporty package of the New Jazz 1.5 RS Navi, the new Phoenix Orange Pearl color will be exclusively available for this variant. Honda’s commitment to ensure the highest level of customer confidence is maintained with the New Jazz as it offers a full range of safety features. All variants are equipped with Anti-lock Braking System (ABS) with Electronic Brake-force Distribution (EBD) and Driver and Front Passenger SRS Airbags. The 1.5 VX Navi CVT and 1.5 RS Navi CVT variants are also equipped with Vehicle Stability Assist (VSA) and Hill Start Assist (HSA) for added safety while the 1.5 RS Navi CVT variant will get additional Side Airbags and Side Curtain Airbags. With these superior safety features, customers can drive with ease and ride with better peace of mind. For more information on the New Jazz, visit your nearest Honda Cars dealership.